This item is no longer available. Our Lighting Experts are standing by to assist you with locating a suitable replacement. Please call 866.344.3875 for assistance. Castelle’s transitional style features clean lines and a ribbed etched glass cylinder accented by etched amber corner panels, adding to its sophisticated look. 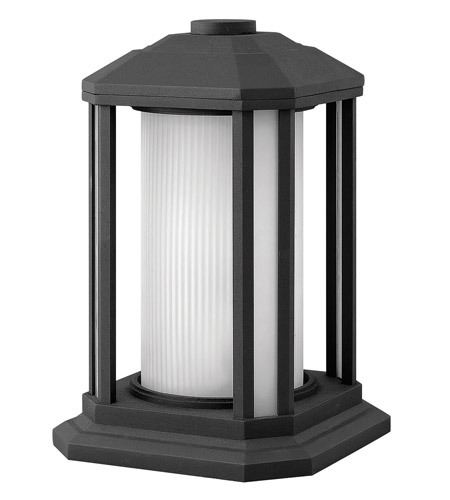 Interchangeability This Pier Mount Lantern has a built in base that is not interchangeable with the Post-Adaptable Hinkley fixtures.